TURN YOUR LOVE OF DOGS AND CATS INTO YOUR OWN BUSINESS WITH A JUST 4 PAWS PET SPA FRANCHISE! Just 4 Paws Pet Spa is a full service pet spa that is reinventing the pet grooming industry. Just 4 Paws Pet Spa’s superior pet grooming and salon treatments never include the use of harmful chemicals or cage dryers, so our clients’ pets receive pampering that no “big box” competitor can match. We have created the most up-to-date, attractive and competitive pet grooming franchise that allows you the opportunity to work with many different types of domestic pets. The Just 4 Paws Pet Spa training team is ready to give YOU the keys to operating an efficient, safe, hygienic and high volume pet grooming business. Our easy to operate business model is beautifully accessorized with a LOW franchise fee, low royalties and a large protected territory. Plus, we continue to support you through on-going training and support to make sure you and your business are never left out in the cold. 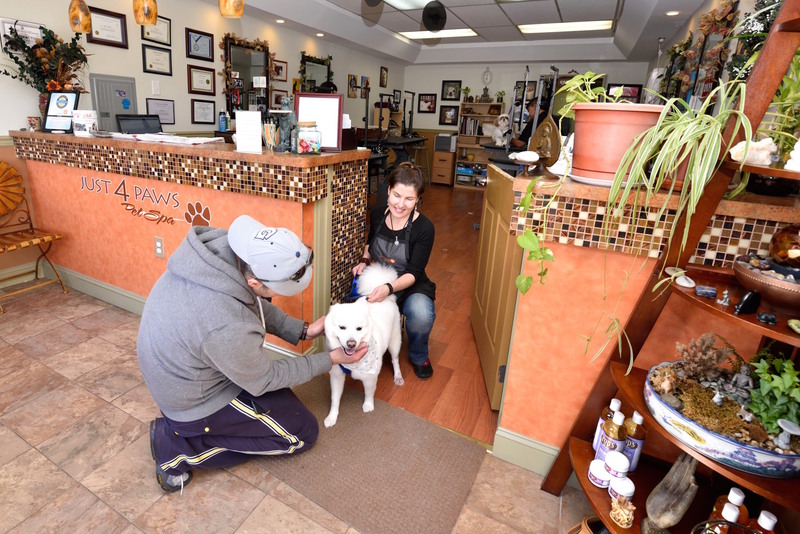 WE UNDERSTAND THAT YOU HAVE A LOVE OF ANIMALS AND JUST 4 PAWS PET SPA IS DRIVEN TO HELP YOU THRIVE IN DOING WHAT YOU LOVE WHILE SUCCEEDING IN BUSINESS!